5. What wireless communications features will we need? GPS, Bluetooth, 3G? Once you've answered these, it's a matter of deciding on form factor, operating system, and taking into account the environment in which the handheld will be used. Take for example, the S430 series, this is an industrial-grade, rugged handheld that look virtually identical to each other (S430T2 and S430M4) , but are really different in terms of hardware features and software functionality. 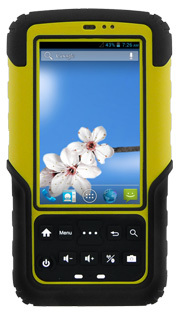 More durable than consumer grade handheld, these 4.3-inch rugged handheld is built to withstand the harsh industrial environment, surviving drops, liquids, dust, and extreme temperature. Other key features include flexibility in operating systems, robust processing power, embedded peripherals, and ultra-rugged design. 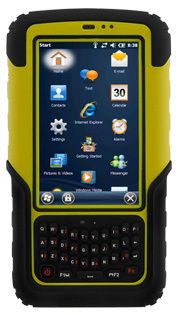 Winmate's S430M4 rugged handheld PDA integrates the latest Android 4.2 operating system while the S430T2 runs Windows Embedded Handheld 6.5 and Windows CE 6.0. Processing power for the S430T2 comes from TI Cortex A8, while the S430M4 operates on the 1.5GHz Quad-Core Cortex A7. Peripherals include RFID readers and barcode scanners, to streamline workflow efficiencies.